Who you gonna call? 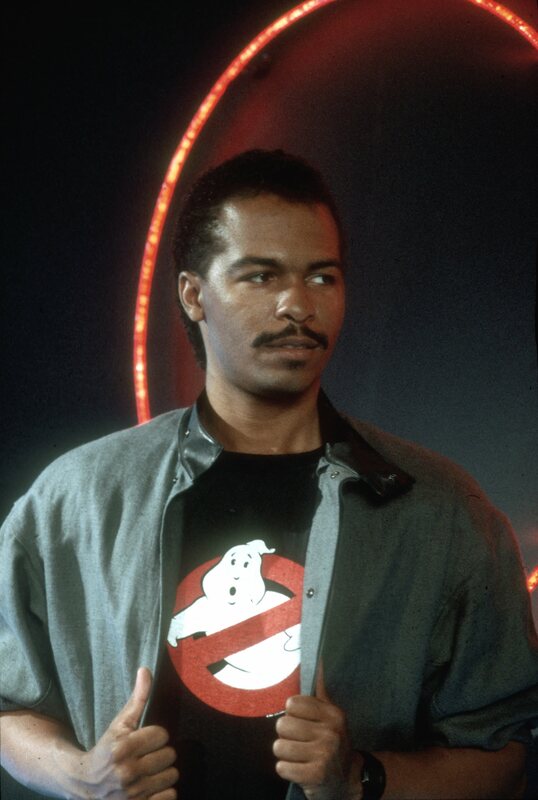 Ray Parker Jr. The Detroit native’s forte was catchy songs delivered with good-natured humor, impeccable radio-friendly production and plenty of wink-winking sexual double entendre. He began taking clarinet and saxophone lessons as a young child, and by age 11 was considered one of Detroit’s brightest child prodigies. Ray Parker Sr., who worked at a Ford steel mill for 47 years, recognized his son’s potential and allowed him to play guitar with the likes of Marvin Gaye and the Temptations in city nightclubs. Dad went to every show to keep an eye on things. At 12, Parker toured with the Spinners, and he was still a teenager when he started doing sessions at Motown – he was in the second-unit band, playing when the famous Funk Brothers were otherwise engaged. With Wonder, Parker opened stadium shows for the Rolling Stones. “I thought that they were opening for Stevie Wonder,” he said. “I was really shocked to see that they were the headliners. Parker worked on Wonder’s Talking Book and Innervisions. He was also making demos of his own songs, which Wonder encouraged. “And I thought gosh, if Stevie Wonder thinks it’s good enough for him to waste his time on, there must be something happening here.” Parker co-wrote “You Got the Love,” the 1974 hit for Rufus and Chaka Khan. He also found plenty of work as a session guitarist, primarily with Invictus Records, the label started by Holland-Dozier-Holland after they’d left Motown. Freda Payne’s “Band of Gold”? Parker on guitar. “Want Ads” by the Honeycombs? Parker again. Next he met his mentor, Barry White, who saw the young songwriter’s potential. White and Parker co-wrote several hits, including the No. 1 “You See the Trouble With Me,” and that’s Parker’s wah-wah on “Can’t Get Enough of Your Love,” “Love’s Theme” and several other Love Unlimited Orchestra classics. Arista Records president Clive Davis signed Parker. The 1977 Raydio album, written and produced entirely by Parker, featured him on nearly all the instruments.” At the time, anyone who was a famous musician that made a record, it was considered a jazz record,” Parker said. “No matter who you were, didn’t matter what it sounded like. It was only a jazz record because you were a musician. “Musicians didn’t have hit records; they just didn’t allow it. Especially black. If you were black and you were a musician, the first thing they’d do is draw a picture of a guitar and you holding it, and there’s your album cover. And then you go to the jazz stations. Presto! Raydio became the name of a band, with Parker out front in the cover photos. “Jack and Jill” hit the Top 10 single early in 1978. Although Parker’s silky tenor is featured on the chorus, the leads were sung by a friend of his, Arnell Carmichael. There was no Raydio. Carmichael and the other guys pictured on the jackets were put on retainer, for personal appearances. Eventually the act was called billed as Ray Parker Jr. & Raydio. A pulsating mix of rock guitars and soulful vocals, “The Other Woman” was a huge single, reaching No. 4 in April. The ballad “Let Me Go” was a minor hit, but Parker didn’t score big again until ’84. He was approached by Columbia Pictures’ music division to write a song for their upcoming comedy Ghostbusters. “It was a 50 grand deal, to write a song in two days whether they like it or not,” Parker recalled. “A key point – whether they like it or not, I get my money. I loved that deal. “Ghostbusters” spent three weeks on top of the Billboard chart in June and became the biggest record – by far – of Parker’s career. Parker was subsequently sued by Huey Lewis, who claimed that “Ghostbusters” was a virtual rip-off of his “I Want a New Drug.” Parker, who says he counted 12 songs that use “the same bassline” (including Stevie Wonder’s “You Haven’t Done Nothing” and M’s “Pop Musik”) settled out of court. Still prevented by gag order from saying too much about the case, Parker nevertheless brushes it off. “What I can tell you is that I’ve written a lot of songs in my life, and every time it’s really, really successful there’s a lot of lawsuits. So far, in my lifetime, nobody’s collected a dime and it all still belongs to me. You look at the credits and it still says Ray Parker Jr.
A label switch, first to Geffen and then to MCA, didn’t produce any more major pop hits (although Parker did write New Edition’s smash “Mr. Telephone Man”). Parker returned to Detroit in the late ’80s to care for his ailing parents, who, sadly, died with in a year of one another. Today, he’s working on his first album in 13 years, writing songs for kids’ cartoon shows, and hitting the road (he’s been playing guitar with his old friends the Crusaders).